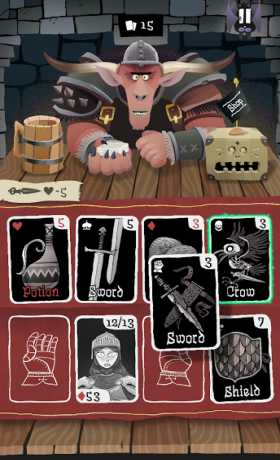 Card Crawl’s 4 single player game modes are enhanced via Google Play services to compare scores and the associated decks created by each player. A typical game can be played within 2-3mins and is a perfect one more game experience while waiting in line or commuting. The game is free to try. 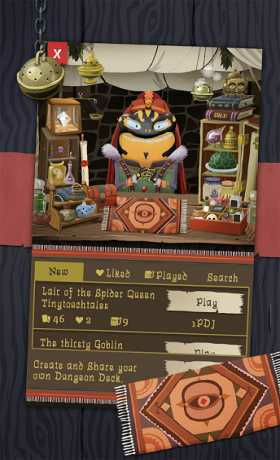 The free version includes 10 ability cards, the Normal-Mode and the Google Play service highscores. 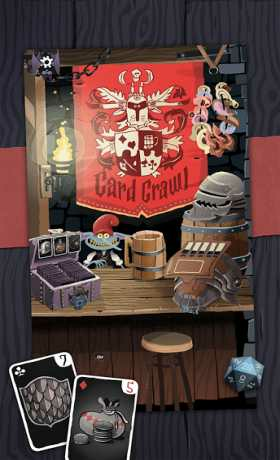 In order to access all of Card Crawls features and modes you can unlock the game by paying an one time in App purchase.